Join San Angelo Crime Stoppers for our annual Running With the Blue even during Police Week. What: 5k run/1 mile walk rain or shine! San Angelo Gives is a powerful 24-hour online fundraising event hosted by the San Angelo Area Foundation that will unite our community around causes that matter. San Angelo Gives is a great way to give community members the chance to find and support nonprofit organizations whose mission aligns with their passions. All donations made on May 1st through www.sanangelogives.org are eligible for amplification funds increasing each donation. At midnight on May 1st, you can begin donating to your favorite non-profit. It is a day of giving to celebrate the nonprofits in our community, a chance to raise thousands of dollars, and recognize the impact we can make in our community when we join together for San Angelo Gives. 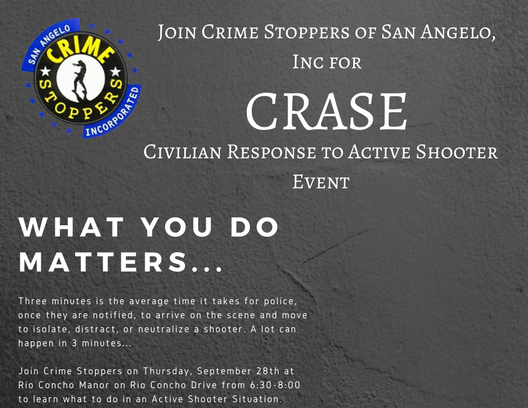 San Angelo Crime Stoppers is hosting a Civilian Response to Active Shooter Event (CRASE). The program will be Thursday September 28 at Rio Concho Manor on Rio Concho Drive in the library recreation room from 6:30-8:00. What you do matters this program is to help people be better prepared if they find themselves in an Active Shooter situation. 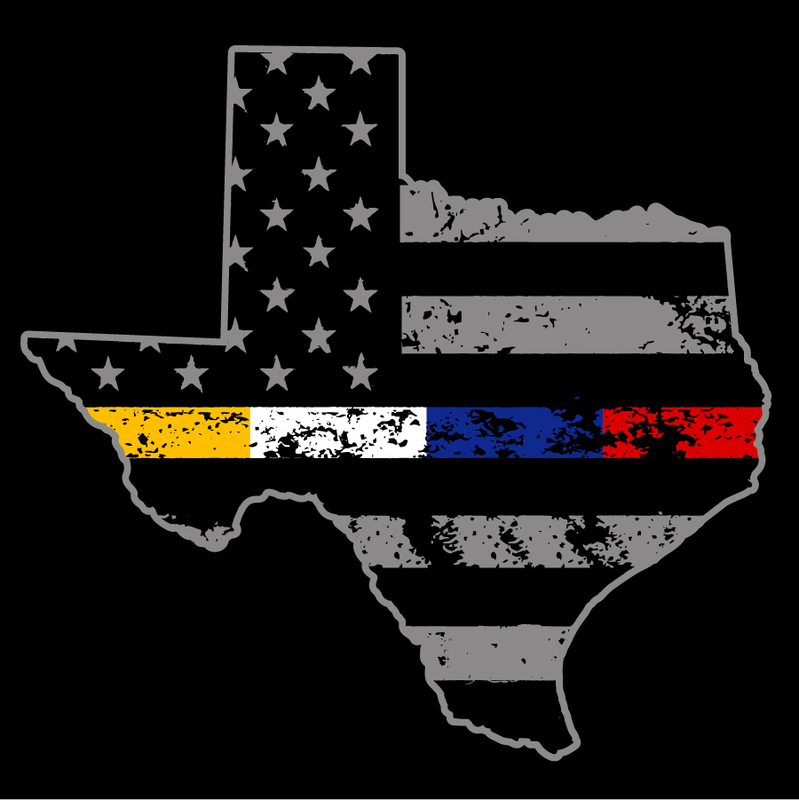 Three minutes is the average time it takes for police, once they are notified, to arrive on the scene and move to isolate, distract, or neutralize a shooter. A lot can happen in 3 minutes so it is important for civilians to have a plan in place before an active shooter event occurs. Come join Crime Stoppers for a Car Show sponsored by Mitchell Buick GMC! Come out to participate in the show, or come out to enjoy the show! All makes and models are welcome! 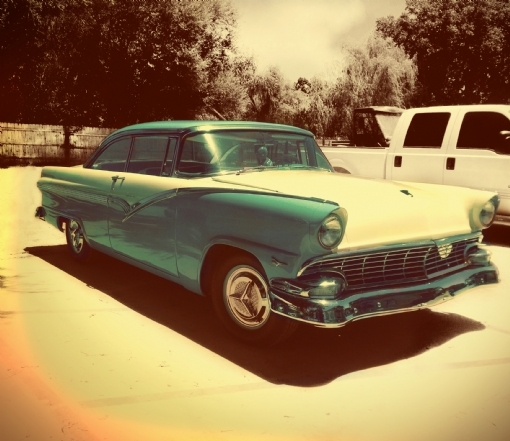 Cars, Trucks, Motorcycles, and Custom Bicycles. There will be raffle items, door prizes and goody bags. We will also have food trucks and at noon the Glory Bound Cloggers will be dancing! !